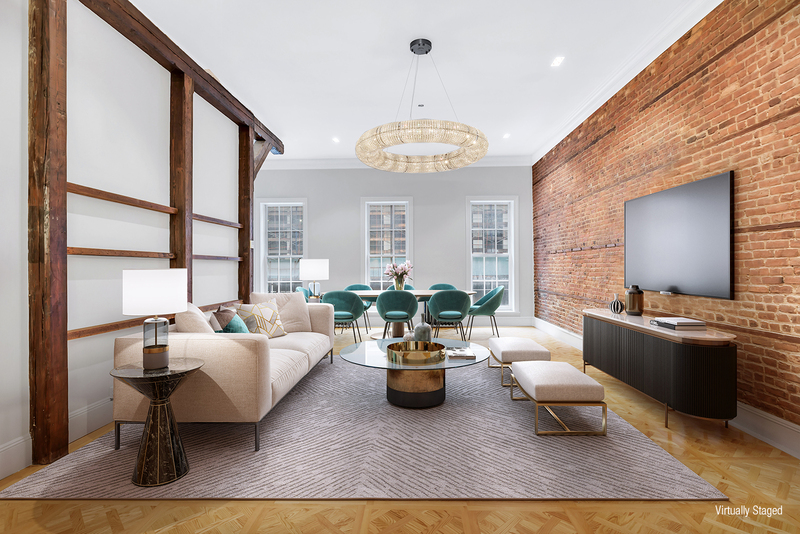 Located in a historical building on Grand Street (off Crosby Street), this just renovated 2,400-square-foot loft offers 3-bedrooms, 2.5-bathrooms with private outdoor space! This home features an open chef's kitchen with top-of-the-line appliances including a 48-inch Sub-Zero fridge, 48-inch Viking Stove, Bosch dishwasher, top of the line built in microwave cabinet and an abundance of custom cabinet space. Flooded with natural light thanks to oversized windows and with beautiful Versailles inlaid flooring together with original beams and exposed brick walls, this stunning home is the perfect mix of authentic and modern lifestyle and convenience. 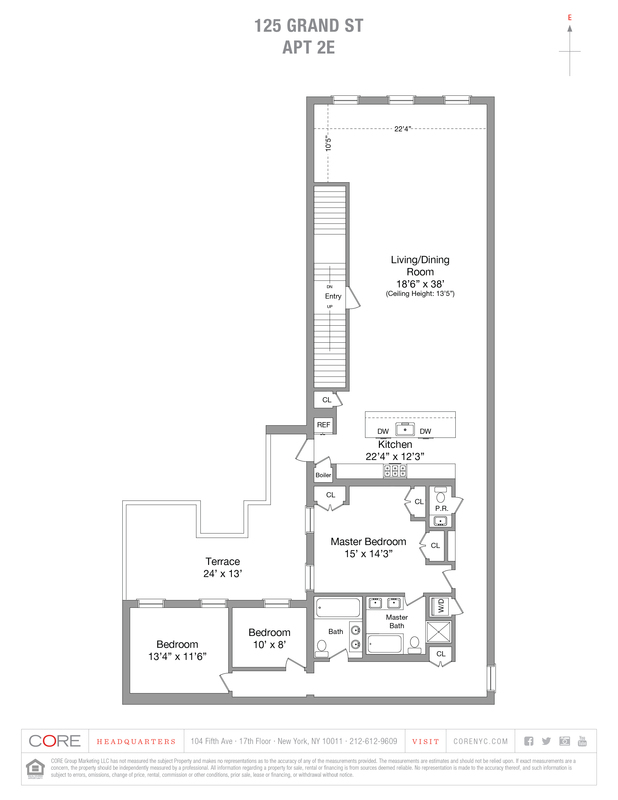 The 13.5-foot ceilings and the openness of the living area and kitchen are truly one-of-a-kind and allow plenty of room for grand entertaining. The master suite features a luxurious en-suite bathroom with elegant marble countertops and cast iron tub. Along with two spacious additional bedrooms and newly renovated bathrooms, this unique Soho loft, completed with the finest materials and craftsmanship throughout, also features a washer/dryer, three zone AC and ample closet space.